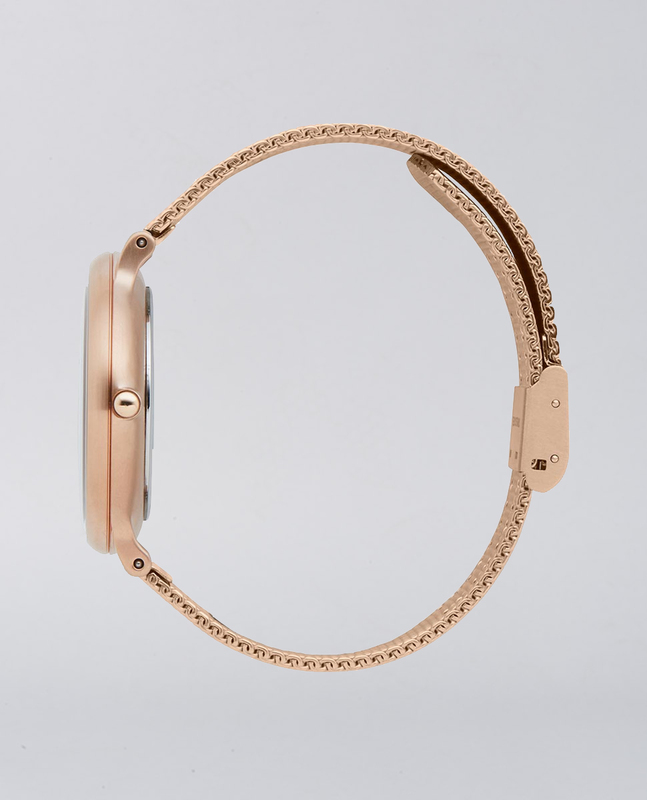 The Flow Rose Gold watch features a pebbled case, a crystal and dial design that creates an all-over smooth feel. The Flow watch features a pebbled case, a crystal and dial design that creates an all-over smooth feel. 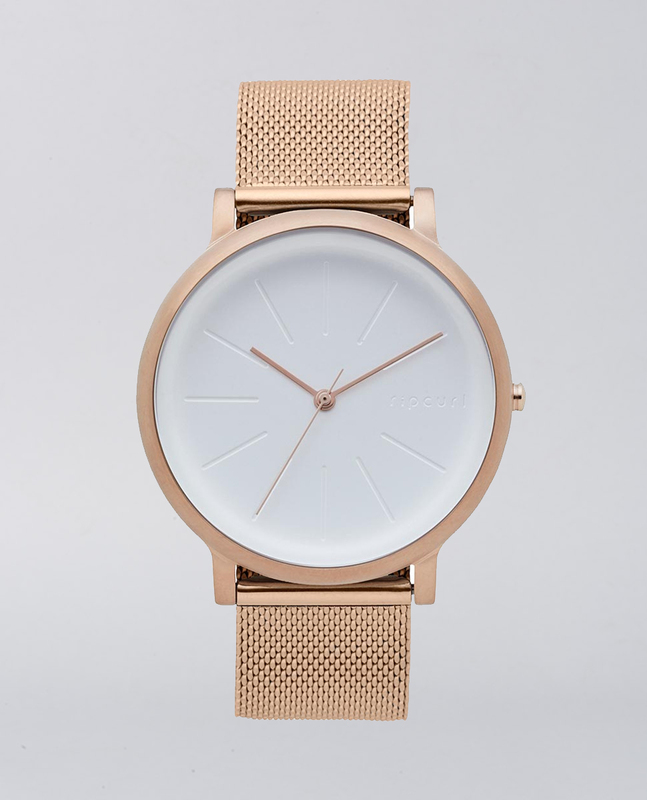 With a fine stainless steel mesh strap, this beautiful women's watch provides a clean feminine look for everyday wear. Waterproof tested up to 50 metres, backed with a limited 5-year warranty. Custom curved & pressed dial. 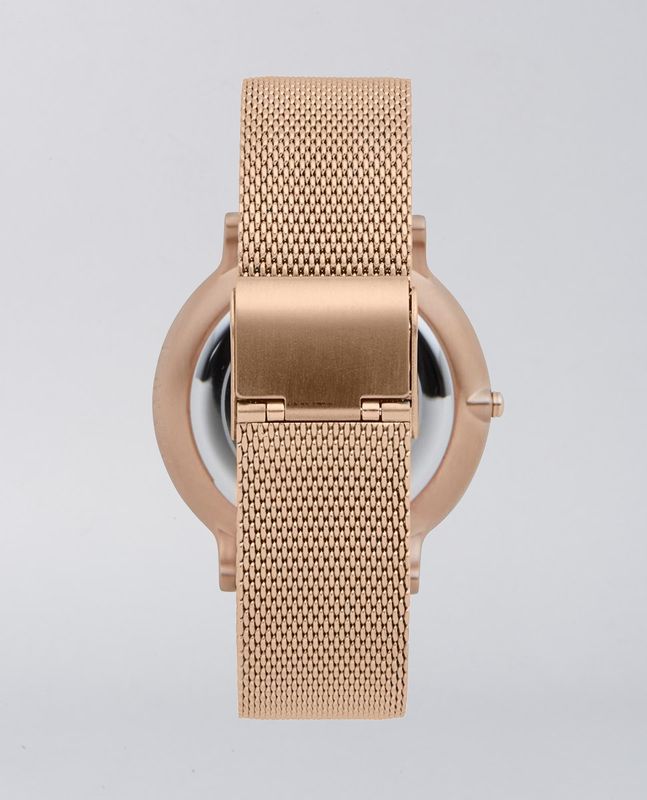 BAND: 18mm marine grade solid stainless steel mesh bracelet. CASE: Custom designed marine grade solid stainless steel case. Ionic plated 18k rose gold.